Rolled over on its side after auto rotation in a field. 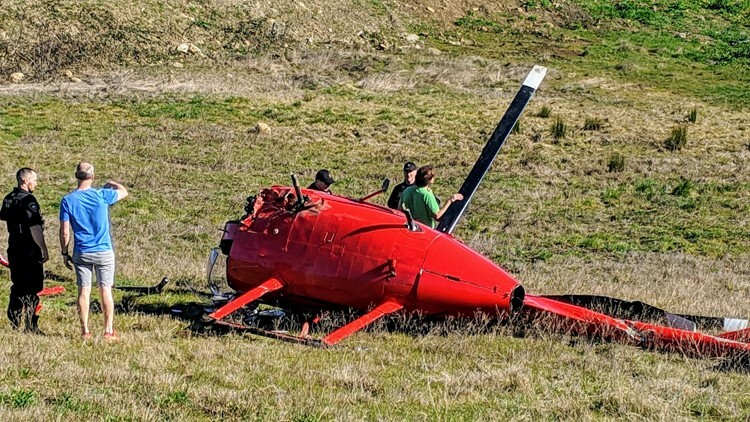 A pilot and his passenger walked away from the crash of a small helicopter Sunday in Newberg. According to a release from the Newberg-Dundee Police Department, Robert Taylor, 46, of Washington, and his brother, Aaron Taylor, 43, of Beaverton, were flying from Beaverton to McMinnville when the aircraft lost power and Robert Taylor had to make an emergency landing. "Upon arrival, both occupants of the rotorcraft had exited on their own, miraculously without injury," the release said. "The pilot's quick thinking and extensive flying background can be credited for their survival of this crash." The aircraft came to rest near the intersection of Bell Road and Highway 219 in northern Newberg. Although the craft received extensive damage, it did not strike any buildings or individuals on the ground. Fire personnel from the Tualatin Valley Fire & Rescue department responded to the scene, but neither the aircraft nor the grass beneath it caught fire. TVF&R officials said no fuel was found to have leaked from the aircraft. The Federal Aviation Administration and the National Transportation Safety Board, the federal agencies responsible for investigating aircraft crashes, have been contacted about the crash. The aircraft was released back to Robert Taylor at the scene. Two brothers survived a helicopter crash late Sunday afternoon in Newberg, police said. Robert Taylor, 46, was flying the helicopter from Beaverton to McMinnville with his brother Aaron when the rotorcraft lost power, the Newberg-Dundee Police Department said. Taylor performed an emergency landing in a field on the southwest corner of Highway 219 and Northeast Bell Road, just inside the city limits. The helicopter sustained major damage. While the helicopter sustained major damage, the men got out on their own and were uninjured, police said. Police said the pair survived thanks to Taylor’s quick thinking and extensive experience flying. 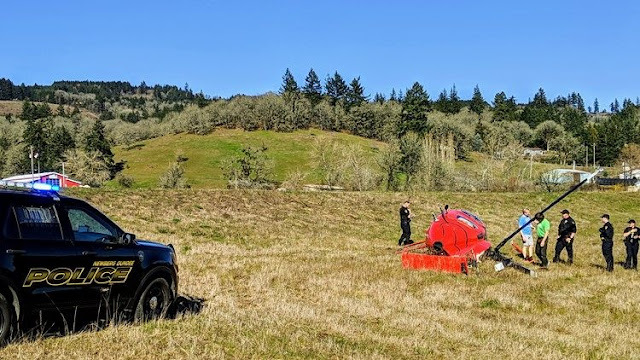 NEWBERG, Oregon — Two people survived a helicopter crash Sunday afternoon in Newberg, police said. The crash happened about 4:12 p.m. in a field near Highway 219 and Northeast Bell Road. 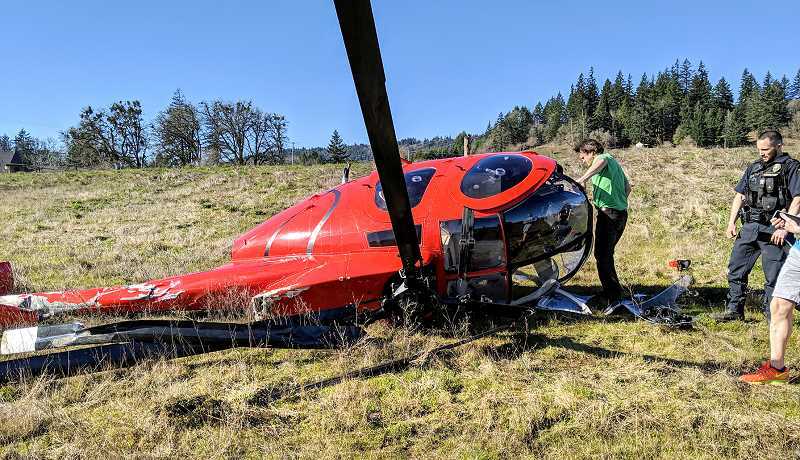 Newberg-Dundee Officer Brian Hagen said both occupants exited the helicopter on their own after the crash, "miraculously without injury," even though the helicopter sustained serious damage. The pilot, 46-year-old Robert Taylor, from Washington, and his brother, 43-year-old Aaron Taylor, from Beaverton, were flying from Beaverton to McMinnville when the helicopter lost power, forcing Robert to maneuver and emergency landing. 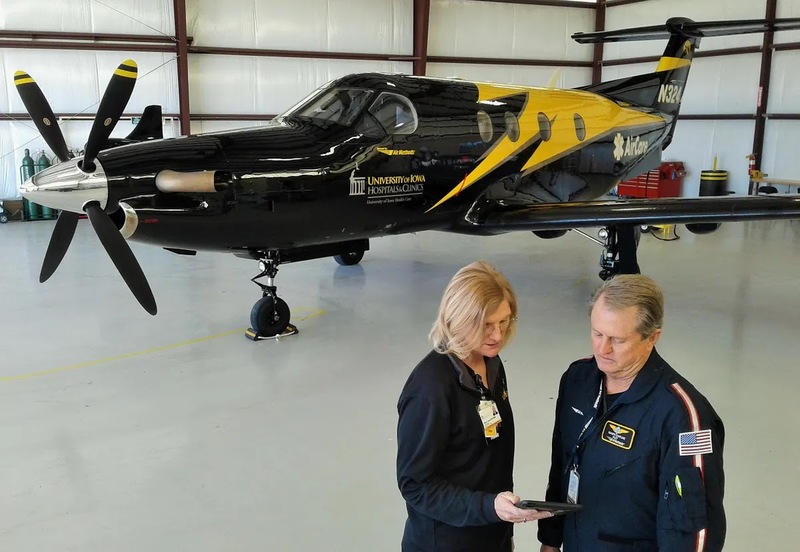 "The pilot's quick thinking and extensive flying background can be credited for their survival of this crash," Hagen said. There were no fuel leaks from the crash.